With the level of stress increasing in our society today, it is important for one to know how to effectively maintain one's well-being and revitalise the body. What better way than to learn about the natural rhythm of the body and become your own physician? Our courses have been carefully tailored to serve your needs. For more information about other courses that we offer, please click here. We also offer a Certificate in Education and Training (UK). 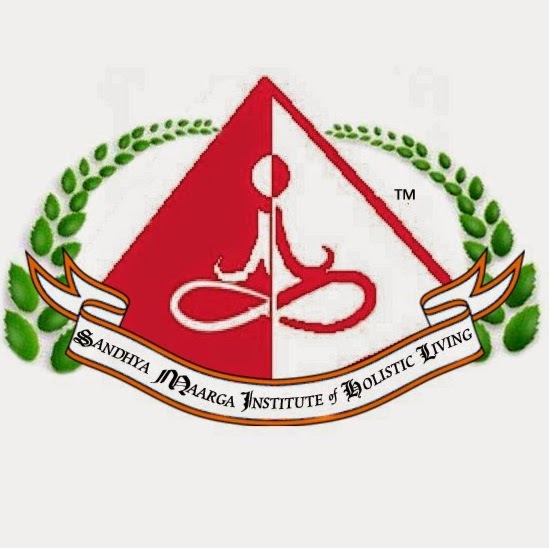 The Diploma courses from Sandhya Maarga Holistic Living Academy is awarded by ITEC (UK). ***To attend our course preview/open day, please give us a call first to book your place. Please do not hesitate to contact us for any enquiries. Thank you. ***For classes held in Penang, please contact us at 018-205 1255 for more information. Our Diploma in Yoga Teaching course is finally here! Our College is the FIRST and ONLY College in Malaysia to offer a UK Accredited Diploma in Yoga Teaching course. Adhering to a comprehensive syllabus as established by the UK, our Diploma in Yoga Teaching enables learners to gain the necessary practical and theoretical skills in order to plan and instruct Yoga. In our institution, we produce Yoga teachers who do not only demonstrate flexibility and are able to carry out complicated Asanas (postures). We place very high importance for all of our Yoga graduates to be thoroughly educated in theScience of Yoga and Anatomy. This is what makes our college unique. Just as what the World Health Organisation has declared, we at Sandhya Maarga fully embrace the potential of Yoga as a form of therapy. The therapeutic benefits of Yoga practice are becoming more recognised around the globe, especially since the past few years. Hence, our college offers a Diploma in Yoga Teaching to acquaint students with the industries of Yoga, Sports & Fitness as a whole and holistic wellness. Students will be taught Anatomy and Physiology, the history and philosophy of Yoga, meditation and its Science, Pranayama, Traditional Asanas & Sandhya Maarga Asanas, Class Structuring, Sandhya Maarga Yoga Syllabus, Specialised Yoga for Children, Prenatal Yoga, Yoga for the Elderly and Yoga for other ailments and conditions. Sandhya Maarga is an advocate of Yoga practice for therapeutic purposes. Unlike most other Yoga institutions that offer classes to students by teaching them random Yogasanas (Yoga postures) every week, Sandhya Maarga instructors teach their students specific postures that have been devised for specific therapeutic purposes that the students have signed up for. These different step-by-step Yoga sets are also collectively known as Sandhya Maarga Yoga. These Yogasanas are taught systematically so that each student reaps their full benefits. Furthermore, instructors at Sandhya Maarga aim to educate their students on the basics of Yoga and raise their awareness on such practices. Sandhya Maarga students (for most of the Yoga courses at SMHLA) will therefore find instructors explaining the benefits of each Asana so that the students do not only follow their instructors' directions, but are also aware how each Asana helps them achieve their goal. During our Diploma in Yoga Teaching classes, emphasis is placed on safety and precautions as well as training the student to develop the ability to modify and adapt postures to ensure the therapeutic benefits received by each student in a class is maximised. Sandhya Maarga Yoga has been featured on international media such as Eagle Broadcasting Corporation, Global News Network and Malaysia's NTV7's famous breakfast show "Good Morning Tai Tai" every week. Our dedication in the field of natural health does not merely stop at teaching Yoga courses. The College also actively organises & participates in international health conferences to further enhance the syllabus that we teach our students. Not only will our graduates be exposed to the different approaches of maintaining health holistically, they will also be given the opportunity to manage a Sandhya Maarga Yoga studio in the future (subject to terms & conditions). As we have huge aspirations to move towards a system of Integrative Medicine, we aim to one day establish an Integrative Medicine clinic / hospital that combines the different methods of healing. Sandhya Maarga graduates are given first priority to join our group of staff. 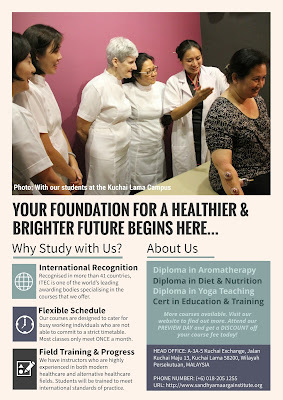 Our Diploma in Aromatherapy course is finally here! Plants have potent medicinal value and have been used since thousands of years by different ancient civilisations such as the Indians, Chinese, Greeks, Romans and the Egyptians as a cure against illnesses. They have also discovered that plants are good cosmetic ingredients and the different scents can allow them to be made into perfumes. Aromatherapy does not only deal with scents that will help you balance your body, mind and spirit. The use of essential oils is a major aspect of aromatherapy practice and because the oils are potent, their healing properties are also magnified. These oils may be used in many different ways to provide relieve to many physical and emotional discomfort. 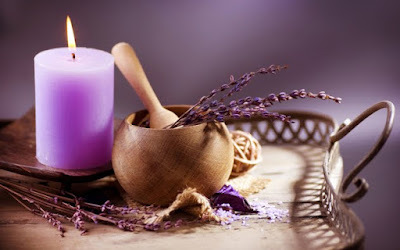 The medicinal use of essential oils is traced back to Rene-Maurice Gattefossé whereby he discovered that the burn on his hand could be treated effectively with Lavender oil. During World War I, Jean Valnet also used essential oils as antiseptics. This course will not only teach you the healing properties of a wide range of plants and herbs, but also how each is processed, prepared and how they can be used safely. Students will benefit learning special techniques from the founder of our Academy, who is also the founder of the Pyranergetic Technique (a unique healing technique using essential oils to direct the flow of Qi/Praana) to promote and aid healing and well-being. 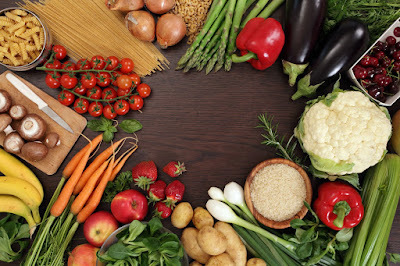 Our Diploma in Diet & Nutrition course is finally here. What you eat is what you are. Know the Science behind nutrition and dietary analysis that impacts your health and your loved ones'. Learn which food items are suitable for certain body types and why. Plenty of research projects are surfacing every now and then about the benefits and dangers of a particular food item. The findings of different studies may contradict each other. Learn the truth and bust the myths with this course! ITEC is one of the world’s leading awarding bodies specialising in the fields of Complementary Therapy, Sport and Fitness, Education and more. Founded in 1947, with its headquarters in London and offices in Asia and South Africa, ITEC also has representation in Ireland and the U.S. It is partnered with 655 colleges across the world and ITEC’s international specialist examination board provides high quality qualifications that are recognised worldwide. ITEC is regulated by OfQual and all ITEC qualifications are in line with the European Qualifications Framework (EQF) and the National Qualifications Framework Ireland (NQAI). To make sure that the trainings are of high standard, ITEC has an independent panel of experts who review all policies, procedures and processes every three months. All of this means that a qualification from ITEC is certain to enhance a student’s CV and improve employability. Upon completion of each course, students will be awarded an ITEC certificate + a Sandhya Maarga Diploma certificate. Our Diploma graduates will also be able to attend an official graduation ceremony held annually. Qualifications & certificates obtained from ITEC are recognised in over 41 countries. Our courses are conducted in Klang, Kuchai Lama ( Kuala Lumpur ) and Penang. To receive the information pack for the courses or for any other information, contact us at 018-205 1255. ***Course discounts available if you register and attend our Course Preview! At this site you can make the best choice of natural products for your health.